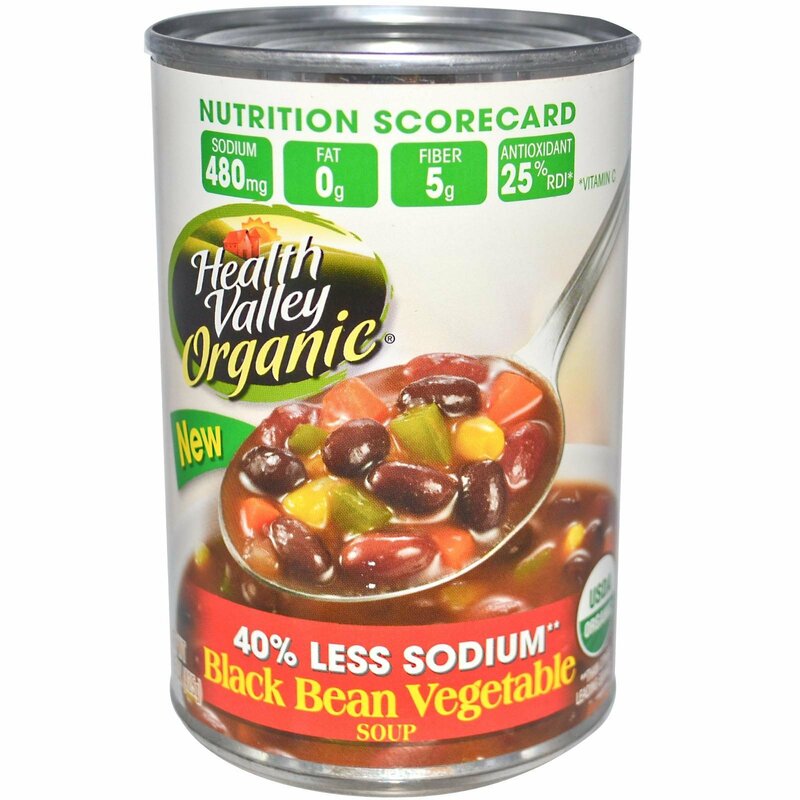 Our Organic Black Bean Vegetable Soup is made with the finest ingredients and contains 40% less sodium than other leading brands. It's an excellent source of fiber (5 g) and antioxidants vitamin A (20%) and vitamin C (25%). This Health Valley Organic soup contains 480 milligrams sodium per serving. 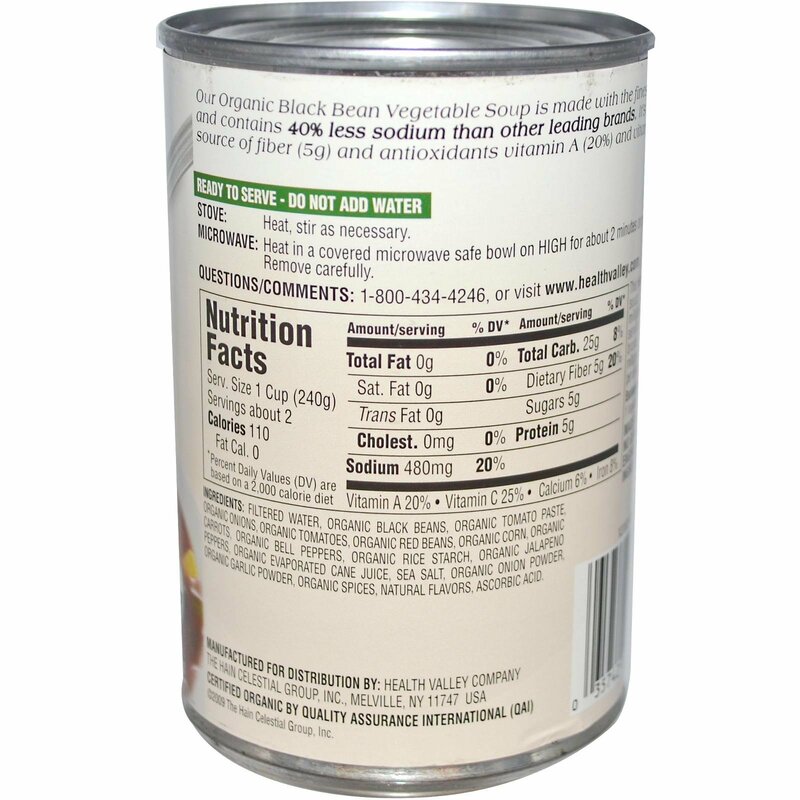 Other leading brands contain 860 milligrams sodium or more per serving. Stove: Heat, stir as necessary. Microwave: Heat in a covered microwave safe bowl on High for about 2 minutes or until hot. Remove carefully. Filtered water, organic black beans, organic tomato paste, organic onions, organic tomatoes, organic red beans, organic corn, organic carrots, organic bell peppers, organic rice starch, organic jalapeño peppers, organic evaporated cane juice, sea salt, organic onion powder, organic garlic powder, organic spices, natural flavors, ascorbic acid. Made with no genetically engineered ingredients.